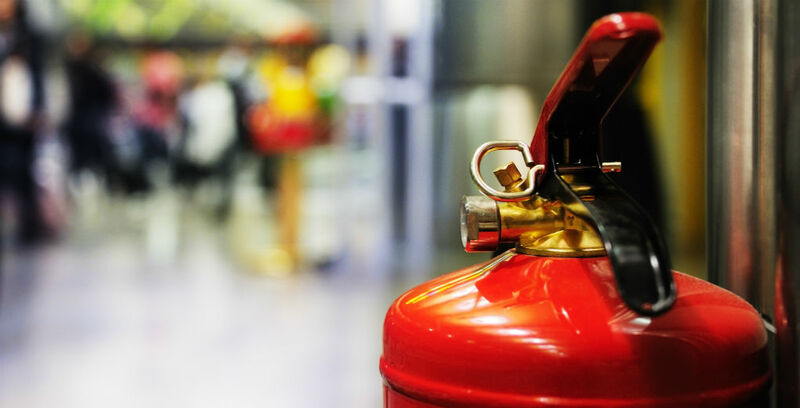 All businesses need to adhere to certain fire safety regulations as set down by law. Whilst you may have filled in all the forms, done all the necessary checks and made reasonable adjustments to your workspace, sometimes it helps to go over the basics. We take a look at some common fire hazards in retail space and how you can knock any creeping bad habits on the head. If you are charging your personal electrical devices at work, ensure that you are using legitimate, tested charging devices. Most of us have heard horror stories of fires caused by cheap phone chargers bought online exploding whilst in use. Even when using tested devices, try not to leave them unattended for an extended period of time and leave your phone uncovered, on non-flammable material. If your store sells highly flammable goods, including combustible materials and fuel, you should treat these with caution when you shut down your store for the night. If you have an area for recycling, waste or storage which homes combustible materials, make sure this does not affect any access in or out of your building and try to dispose of it on a regular basis. If you bring portable electrical equipment into your commercial space, you should ensure it has been fully PAT tested by a qualified professional beforehand to ensure it is safe for use. It may be tempting to bring in a portable fan in the summer, or even a mini heater in the colder months, however, if these malfunction, they have the potential to start a serious fire. Dust derived from wood, plastic or metal can potentially cause explosions in ill-ventilated areas. Additionally, if there is an excess build-up of dust, dirt or product on any machinery which heats up when in use, this could burn and result in a fire. Even small items like toasters can accumulate a build-up of crumbs and pose a risk. Try to keep all equipment of this nature clean and ensure no combustible materials are close by. If possible, unplug any machinery when it is not in use and do not leave anything on overnight unless necessary. Ensure your fire extinguishers are fully fitted to the walls if you find they are loose these will need to be refitted to ensure they are secure. Avoid storing your stock or equipment too close to any sprinkler systems as this could render them unfit for purpose. If in the devastating event that your retail premises is caught up in a fire, you will need to ensure your policy fully covers you for the rebuild cost. Only 1 in 10 properties at this time, both residential and commercial, are correctly covered for the rebuild cost of their property, which means that should such an event occurred, they could find themselves dramatically underinsured. At Hinks Insurance we can arrange a Rebuild Cost Assessment, in which you can either choose a comprehensive on-site or online review of your property to ensure you have the correct rebuild cost value for your property from the off. Call us today on 01482 323424 to speak to an experienced member of our friendly team.